Most women think that soft and dandruff-free hair is an impossible combination to have. For the longest time, it was widely accepted that having a healthy scalp also meant living with dry hair—that anti-dandruff shampoos were harsh for your hair. Now, all that is in the past with a scientific breakthrough from Head & Shoulders, a pioneer in scalp health development and the world’s number one anti-dandruff shampoo brand, as they launch the new premium Head & Shoulder Suprême Series Shampoo and Conditioner with Moroccan Argan Crème in the Philippines—a first of its kind. 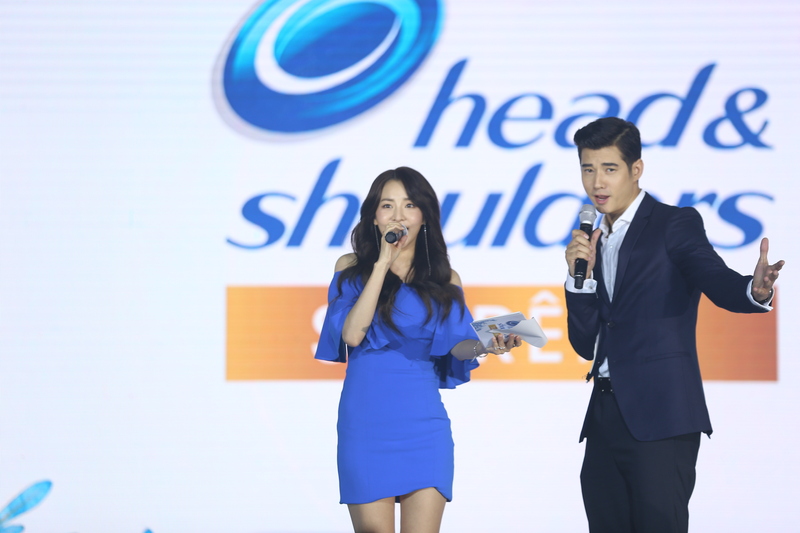 Head & Shoulders’ latest innovation fuses its scalp-to-tip know-how with brand new ingredients to create a product that answers what women want and need — beautiful, deeply moisturized, soft AND dandruff-free hair. The Head & Shoulders Suprême Series with Moroccan Argan Crème comes in two variants: Head & Shoulders Suprême Moisture Shampoo and Conditioner infused with orchid perfume; and Head & Shoulders Suprême Smooth Shampoo and Conditioner, made with honey. Head & Shoulders Suprême Moisture Shampoo and Conditioner leaves the hair touchably soft and intensely moisturized from root to tip. On the other hand, Head & Shoulders Suprême Smooth Shampoo and Conditioner leaves hair feeling super soft and smooth leaving locks perfectly polished all day. Both variants are infused with Argan crème and made with micro zinc technology that makes lusciously soft and 100% flake-free* hair a reality. Designed to be used with the shampoo, the new Head & Shoulders Suprême Conditioner, contains Behentrimonium Chloride (BTMAC) or Better Targeting Magnetic Attraction Compound which targets damaged areas on the hair fibre for better conditioning. BTMAC is a dual-functional molecule that helps restore the cuticle, gives softness to the hair, and enables ease of combing while retaining moisture for up to 24 hours. The conditioner is also blended with rich alcohols for enhanced conditioning benefits, and 0.5% ZPT for enhanced scalp benefits. Head & Shoulders’ scientists have long known that an unhealthy scalp leads to unhealthy hair. In fact, scratching alone can cause damage to the hair fibre resulting to dull, lack-lustre strands. Specifically, it was shown that oxidative stress leads to having an unhealthy scalp which then grows unhealthy hair. The best thing is that the new Head & Shoulders Suprême Series’ formula combines micro zinc technology and argan crème to effectively combat oxidative stress. The Head & Shoulders Suprême Moisture Series has a blend of floral and fruity notes for a great scent right from opening the bottle. Its brand new packaging design includes its iconic swan-shaped shampoo bottle and never-been-see-before new tube-shaped conditioner bottle holds a lot of promise for users. 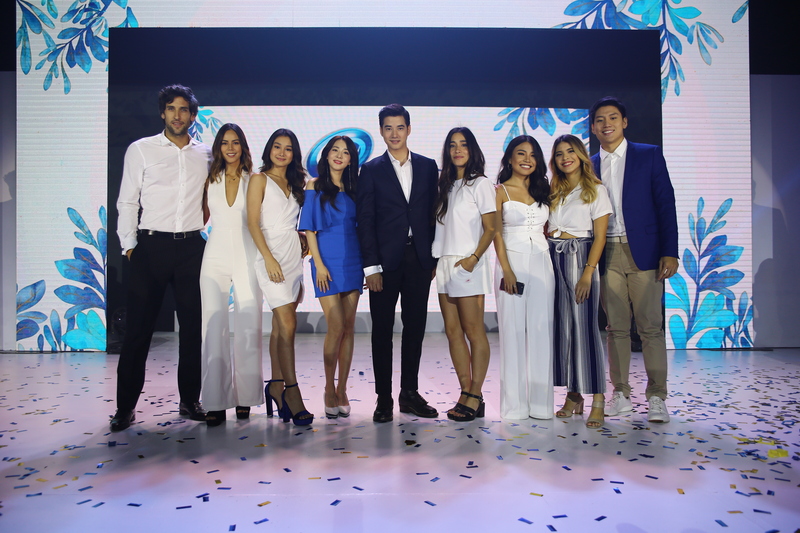 No less than Sandara Park, Chie Filomeno, Janina Manipol, An Estrada, En Estrada, Michelle Dy, Cha Ocampo, Haley Dasovich, and Kianna Dy have been named as the new Head and Shoulders Suprême Ambassadors. These women show everyone that lusciously soft, dandruff-free hair is now possible. Equally proud of their dandruff-free hair are fellow ambassadors Mario Maurer, Nico Bolzico, Jeron Teng. “I’ve always wanted to keep my hair flake-free, but anti-dandruff shampoos could be harsh on the hair. I’m so happy with Head & Shoulders Suprême! It’s given me super-soft, beautiful and clean hair while leaving my scalp healthy,” said Sandara. “I’m amazed at how my hair is so clean, without being dry and stringy. I didn’t know this was possible,” concluded Sandara. 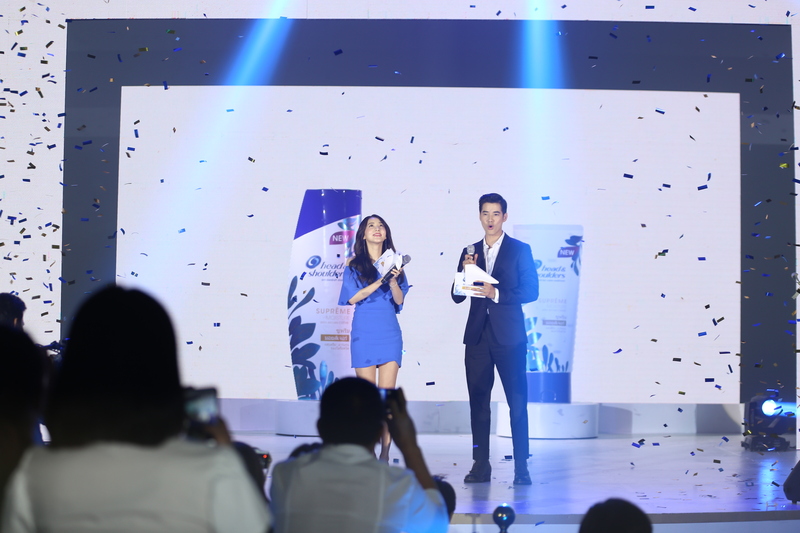 For more information about Head & Shoulders, visit www.headandshoulders.ph and follow Head & Shoulders on Facebook. 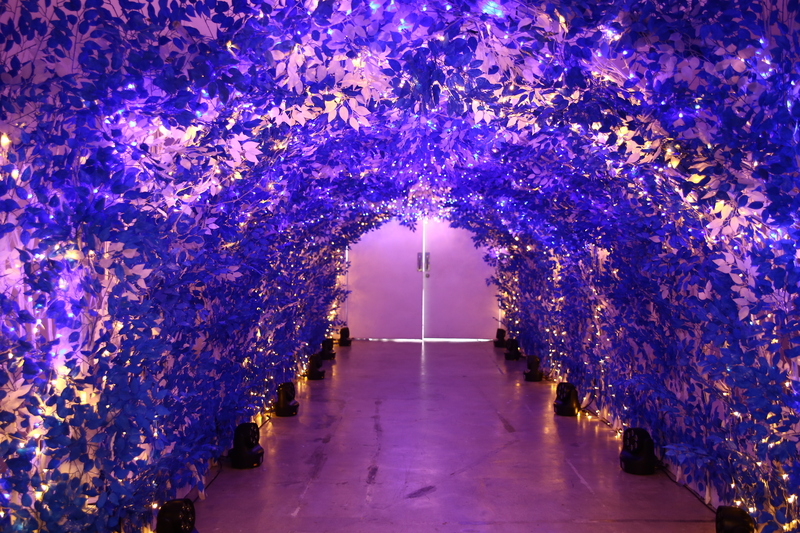 A grand blue argan forest has arrived at the Green Sun in Makati for the grand launch of the all NEW Head and Shoulders Supreme series. 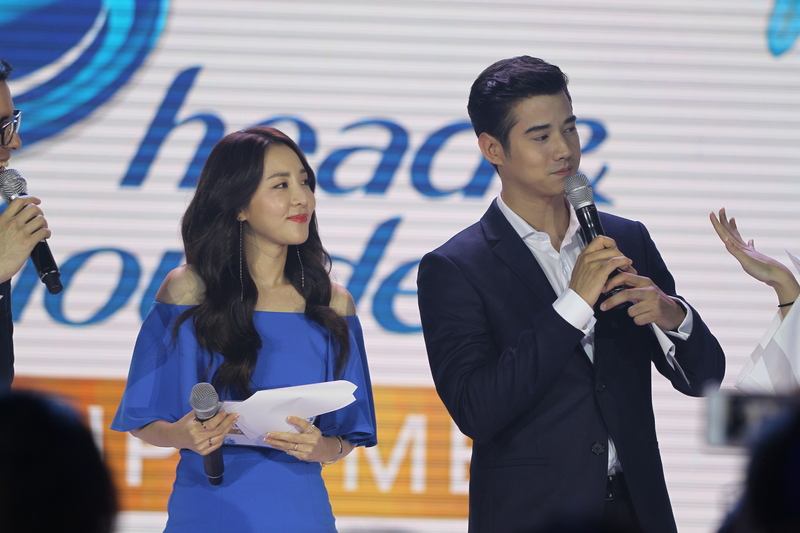 The grand reveal of the all NEW Head and Shoulders Supreme series with Moroccan Argan Crème, along with international stars Sandara Park and Mario Maurer last October 10 at the Green Sun, Makati. 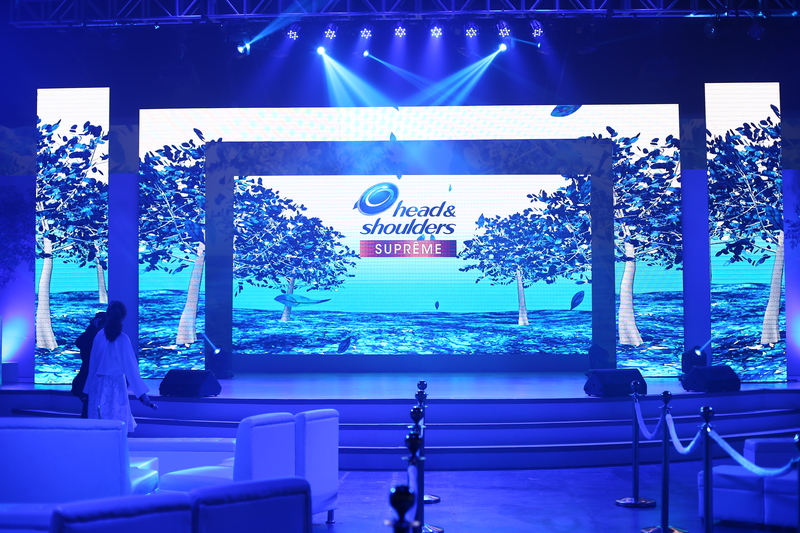 Head and Shoulders International and Philippines’ Ambassadors at the #1010 Supreme Party last October 10 at the Green Sun, showing off their lusciously soft and 100% dandruff free hair. L-R: Nico Bolzico, Janina Manipol, Chie Filomeno, Sandara Park, Mario Maurer, Haley Dasovich, Michelle Dy, Cha Ocampo, and Jeron Teng. 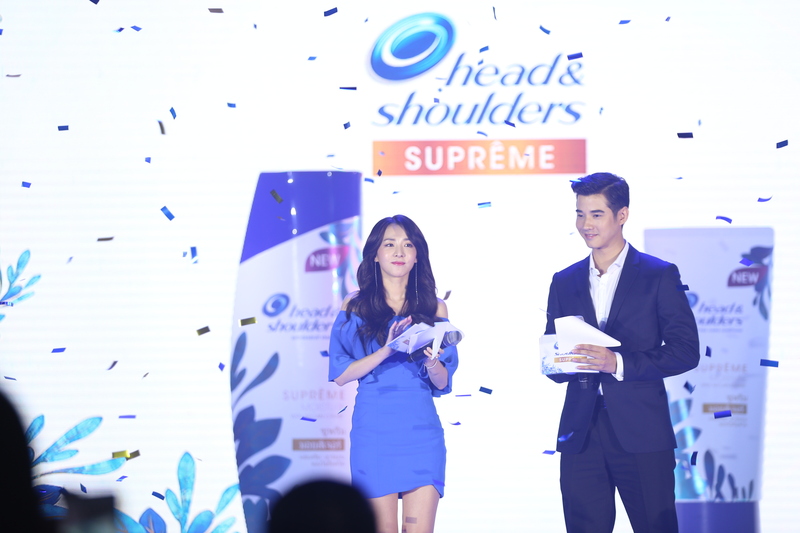 P&G Senior Scientist Ryuhei Morita who flew all the way from Singapore, demonstrates the effectiveness of Head and Shoulders Supreme series with Moroccan Argan Crème along with international stars Sandara Park and Mario Maurer.